Here are some Long Red Cayenne pepper starts that are ready to be planted in the ground. We started these in a wooden box outside. We start quite a few of our peppers and tomatoes along with a few other things like this. The advantage to planting them in these boxes as opposed to direct planting them is just seed protection. If there is a frost you can bring them inside and you can protect them from heavy rain by moving them under a roofed area you might have such as a porch. 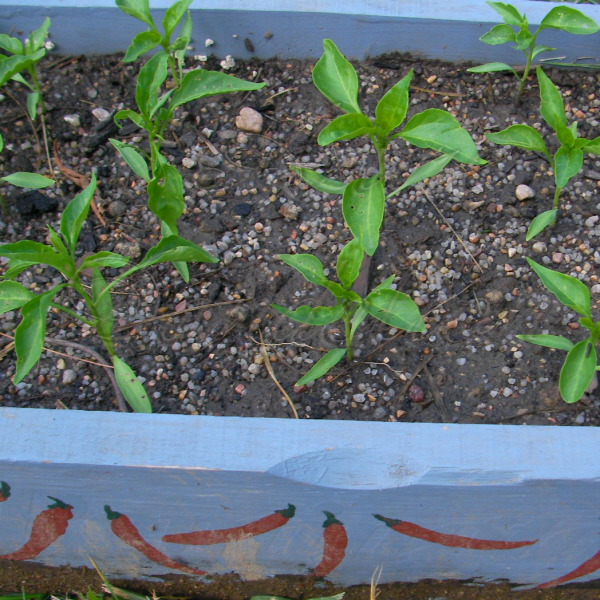 Grow your own Long Red Cayenne Pepper with Heirloom seeds from AzureDandelion.com.